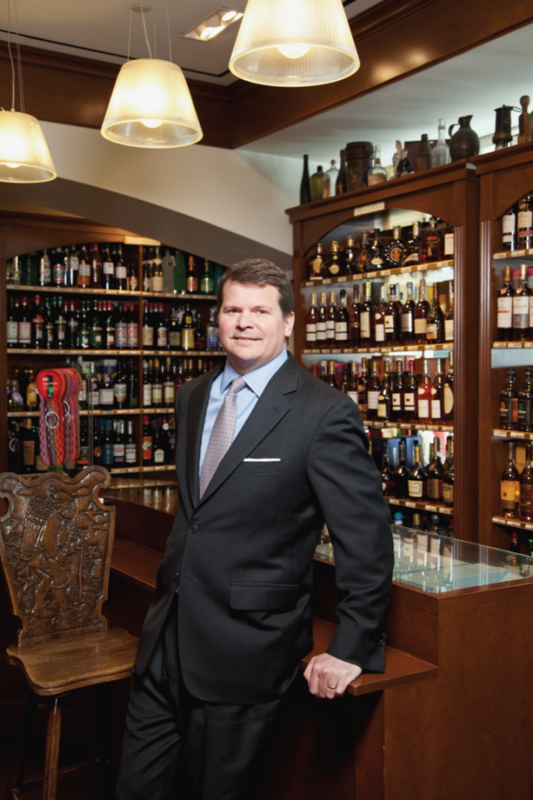 Late last year, renowned New York City spirits and wine retailer Sherry-Lehmann moved into California by establishing a branch in the city of El Segundo, part of the Los Angeles market. The new operation includes a 20,000-square-foot, temperature-controlled fulfillment center that became operational in December, as well as a 12,000-square-foot retail store, and a tasting and event space, both slated to open early this year. Market Watch executive editor David Fleming spoke with CEO Chris Adams about Sherry-Lehmann’s westward move. MW: Sherry-Lehmann has always been well known for its selection. How will the new California operation help in terms of gaining access to highly allocated wines from Napa Valley, for example, or with similar allocation issues that might exist elsewhere? Adams: In California, you can do a lot in terms of the regulatory environment, including importing and distributing. But we’re not doing that. We’re retailers—that’s been our thing for more than 80 years. The new operation has a retail component, a tasting room and a fulfillment center, all in the same location. The fulfillment center will pay a big role in our business in terms of e-commerce and mobile platforms. MW: What was the rationale behind the move? Adams: So much of the discussion in recent years has been about how to gain a competitive advantage amid all the restrictions in this business. At the end of the day, we opted to focus on the strength of our brand. What’s driving this expansion is our ability to reach customers and distinguish ourselves as high-end retailers. As we continue to grow, there will be all sorts of opportunities—including a chance to gain greater allocations, whether in California or anywhere else. But in the end, it’s all about scale and the strength of the brand. MW: Will you consider expanding further? Adams: Certainly there are opportunities to grow the brand nationally. Our strength is in servicing the customer. Our business has always been about what was once called the “carriage trade”—which is really about delivery. I can show you Sherry-Lehmann ads in the New York Times from the ’60s and ’70s that tout “free shipping in the state of New York on orders over $15 a bottle via UPS.” Now, even with the advent of e-commerce and mobile platforms, the premise is the same. And it’s about why our experience matters—how we buy, how we market, how we price and how we deliver. That skill is translatable in a number of markets. MW: Why did you choose Los Angeles, as opposed to San Francisco or somewhere else in northern California? Adams: We’ve got a terrific base in California and have been selling wine there for some time. The new operation is also right in a transportation hub and centrally located in terms of San Diego and San Francisco. In addition, it’s in an up-and-coming neighborhood. El Segundo is an artist community on the edge of Manhattan Beach, not far from Santa Monica, Los Angeles and LAX. Its residents love wine and want access at a certain level. That’s what we’ll be able to provide. We want to treat our California shoppers with the same bespoke, white-glove approach we use with our New York customers. MW: Is the L.A. location similar the New York City store? Adams: The new retail space will become a great destination for our customers, much like 505 Park Avenue in Manhattan. We wanted to replicate our brand to whatever degree is possible, because it’s part of who we are. But there are three parts to this new venture: the retail store, the event space and the warehouse. The first part was the warehouse, getting the inventory in place and being able to satisfy our customers in California and around the country. We’ve invested significantly in IT, staffing and the call center in order to make the transition seamless. The event space, meanwhile, is designed as a full, dedicated tasting room for hosting wine and spirits seminars and for featuring visiting producers from around the world. It‘s a fantastic destination for our customers. So it’s an amazing time for us here at Sherry-Lehmann. So much of what we do is the result of more than 80 years of relationships with our customers and our suppliers. To step out and build on those ties, and to establish new ones as well, is really a thrill.